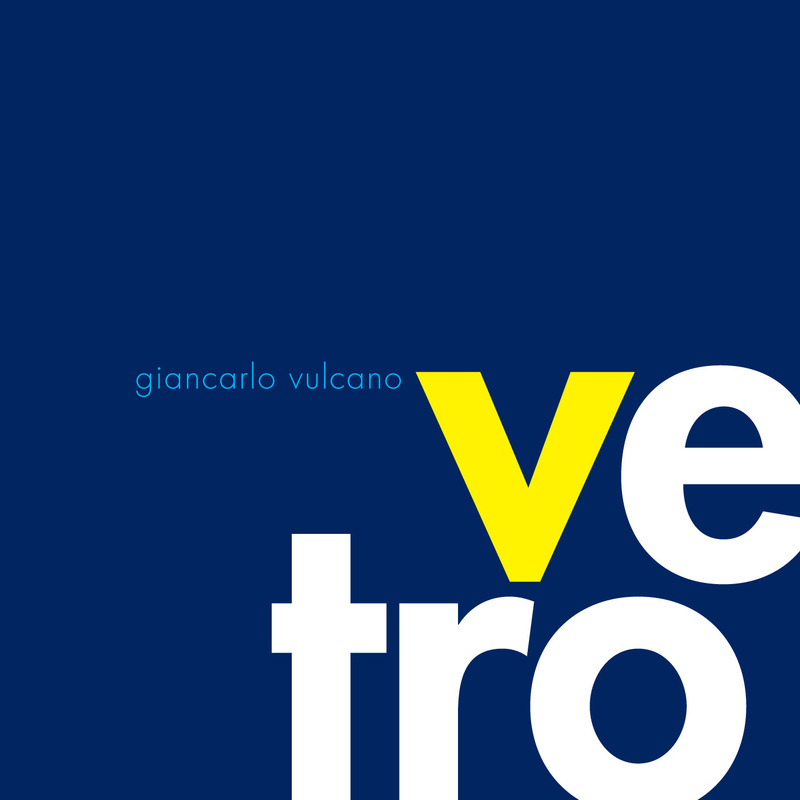 Vetro is a record of New York composer Giancarlo Vulcano’s involvement with performers he met through Forecast Mu- sic, a Brooklyn new music series, 2003- 05. There is a wide-eyed optimism and charm to this post Minimal collection of instrumental vignettes. It was made with an equal directness. Vulcano taught the music to the players by rote, and you can hear the delicate listening and interplay going on; there never was a paper score for the music to get stuck on. Vulcano describes the period when Vetro was created: “It was a process of giving the musicians little phrases to play as I was discovering them...I was find- ing ideas, and my friends would play them for as long as they interested us, and then on to the next.” The compositional process having been organic, the composer considers Vetro’s recordings definitive versions of the works. These works represent collaborative projects that clearly define a unique compositional voice during the composer’s first creative surge of work. Vulcano studied at Sarah Lawrence College and has worked for Howard Shore; you may already have heard his music in a movie theater near you. Now discover this appealing set of miniatures, more aural sandbox than Hollywood, more Alexander Calder than Philip Glass. Self-forgotten and detached from everything around it: Intangibly beautiful material. The career of Giancarlo Vulcano has gone step by step. He started off with gradually piecing together small gigs like any other guitarist in New York and made his way into the team of Hollywood composer Howard Shore. In the early years, he had three dreams: To be able to live off music, to release an album of his own and compose a soundtrack himself. With the advent of “vetro”, two of those dreams have already come true. Of course, there is no mystery to this story, but Vulcano did not want it any other way. It also tells you a great deal about what to expect on his debut. Why, after all, should the music of this man be any different from his stance towards life? Simplicity is therefore the keyword to “vetro” and it is so in a very pure and completely unironic way. The session to the disc took shape in the years between 2003 and 2005, while Vulcano was organising concerts with a group of befriended artists under the “Forecast Music” banner: Yvonne Troxler on piano, violinist Romulo Benavides and Clarinetist Enid Blount are all companions from that time and the intimacy and instrumentation of this ensemble lends their performance a strong touch of chamber music. Even though “vetro” is not a live document and sessions took place in a studio environment, the approach to interpretation was one of feeling towards each other instead of following the fixed trajectory of a score. Maintaining the delicate balance between a casual exchange of ideas among friends and an exact knowledge, anticipation and reaction to what one’s partners have done, are doing and are going to do in just a second’s time from now will be a hard act to follow for anyone who decides to try and perform this music. And that is a remarkable fact for a music which has a pronouncedly naive and playful quality to it. The three musical portraits (of Arthur Rimbaud, Richard Manuel and of Giancarlo Vulcano himself) which frame the other tracks on the album all use the same thematic material and sound as though they happened right in the moment, with a tape recorder running by complete accident. Each repetition of the main motive is different, the individual rhythms sometimes fall out of sync, the introduction of some of the players are hushed and shy. And yet the music keeps flowing without end, loosing itself in itself like Pachelbel’s “Canon”. On the grave “Piano Death Theme” the trick is repeated at the border of unconsciousness and at the brink of atonality, while the jazzy “3 x 3” numbers one and two have a less dreamy and more physical ring to them. What strikes me most about these pieces is that there is no hidden meaning underneath the surface, nor some surprising technical trick: This music is what it is. It neither searches for shelter underneath the roof of some intellectual concept, nor does it seek to obscure its directness in vague terminology. The nine minutes of “Portrait of Arthur Rimbaud” are nothing but an eternal repetition, sometimes fading into short stretches of silence, but then picking up the thread again right after. The magic lies in this particular melody itself, in its inherent quality of not only surviving through the subsequent mantric loops but actually getting stronger each time and resonating more vividly inside the listener. The art of Giancarlo Vulcano is not his ability to turn his material into something intangibly beautiful through skillfull craftmanship, but of discovering material that already carries this quality in its womb from the very start. “vetro” approaches its goal, without any deadline or hurries. Despite its accesibility, it is the perfect anithesis to Pop music. While the latter wants to speed time up to the breathless pulse of a sprinter, this album binds all beginnings and endings into an infinite circle outside of it. Never since first listening to the work of William Basinski have I been so moved by a music so self-forgotten and seemingly detached from everything around it. Giancarlo Vulcano has lived his life step by step, forcing nothing on himself or anyone else. But it is certainly a most welcome move that he has decided to share his dream with the rest of the world. New York guitarist-composer Giancarlo Vulcano was formally trained in music at Sarah Lawrence and CUNY–Queens College, but appears to be recovering nicely. In 2002 he cofounded Present Music, a scrappy composers’ collective that pursued its creative path in downtown nightclubs and alternative spaces. As an assistant to film composer Howard Shore, Vulcano worked on films such as The Lord of the Rings: The Return of the King and A History of Violence. And somehow he manages to moonlight in Las Rubias del Norte, a Brooklyn band that specializes in vintage Latin pop. The eight plainspoken miniatures on Vetro evoke a gentle world rendered in primary colors; if there is a minimalism at play, it’s that of Satie rather than Glass or Reich. Three pieces—Portrait of Arthur Rimbaud (for piano), Portrait of Richard Manuel (for electric guitar) and Self-Portrait (for keyboards)—are essentially the same composition viewed from different angles: as music-box twinkle, backwoods lament and urban soundscape. (The last turned up in an episode of 30 Rock.) Throughout the disc, you sense a vivid visual imagination at play. In 3 x 3 Nos. 1 and 2, Vulcano and his collaborators swirl around one another like parts of a mobile circling at different speeds. Music for Fish Tanks has a multitracked clarinetist playing lines that drift lazily past one another, seemingly without direction. Tierra del Fuego demonstrates Vulcano’s knack for writing actual film music, but the other pieces are plenty scenic on their own. If I had to distill Vetro down to a single word review, I would simply say that it is "charming." That, of course, doesn't really do it justice, as this eight song, fifty-minute release is much more than that. Composed by New Yorker Giancarlo Vulcano (who has worked with Hollywood composer Howard Shore) and performed by Vulcano and musicians from the Brooklyn new music series, it's minimal-leaning music that favors repeated, sometimes simple phrases that come together in often unexpected and beguiling ways. Within the album itself, there are motifs that repeat as well. "Portrait of Arthur Rimbaud" opens the release with just under ten minutes of intertwined piano melodies that dance off one another delightfully, while "Portrait Of Richard Manuel" takes a similar melody and cadence and marries it to a couple of desert-dry guitars, turning the jaunty piano escapade into a chiming, almost western-influenced piece. Likewise, "3 X 3, No. 2" and "3 X 3, No. 1" are connected by loose, bluesy guitar playing, but the latter mingles in some violin to takes it in a completely different direction. Even better are later pieces. "Piano Death Theme" walks a solo piano up and down a haunting stepladder while teetering on the brink of atonality. "Music For Fish Tanks" is even more weightless, with several curling clarinet melodies weaving and winding around one another in spellbinding manner. Even the arrival of "Self Portrait" at the end of the release (which blends the melodies from the two other "portrait" tracks into a sort of trip-hop track) can't throw things off, as playful analogue synths gurgle up out of the remains of clarinet breaths. In the end, Vetro isn't exactly groundbreaking, but in a world of sometimes overly serious minimal music, it's a breath of fresh air.